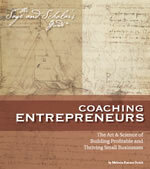 Corporate coaching is one of the hottest specialties in coaching today! For the first time, we’ll take you inside corporations big and small to uncover what they really want and what they desperately need. In this six-session process you learn field-tested techniques and never before revealed strategies for structuring your own team coaching process. The results from this system are nothing short of extraordinary and are impressing even the toughest CEOs. Understand why corporations and their leadership teams need your coaching and what’s holding them back from contacting you. Explore how to match your skill set, background and experience with the perfect corporate teams eager to work with you. Learn how to identify, approach, and present yourself to the right companies to secure corporate business with confidence. Gain a thorough understanding of how to develop a “scope of work” for the services you want to render. 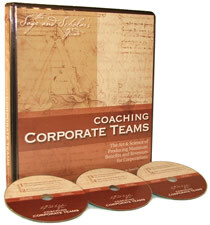 Discover the secrets to integrating corporate team coaching with individual coaching that provide extraordinary results. Receive a detailed outline along with all the information you need to develop compelling content for your team coaching sessions. Learn the proprietary, one-of-a-kind system for servicing big corporate clients that provide on-going revenue streams. Coaches considering corporate coaching as a specialty or Business Coaches looking to develop their niche in coaching corporate teams.